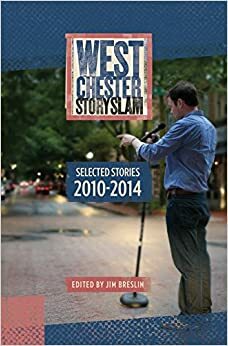 My writer’s group, the Main Line Writers, has put out an anthology of poetry and short stories. I’d love for you to come and support me as I take my first steps into sharing work from the memoir I am writing. My piece, Rolling in the Meadows of Our Minds, tells the story of my first date, at the age of fourteen, with a boy I have only met moments before on the telephone. Revelations follow as I discover a social world far different from the one I know on the vast isolated estate I live on miles away, where my family seem to be serfs in a feudal kingdom. How can I ever go back after that? Come join us at our book release party at Nestology (a cool pop culture store) in the King of Prussia Mall this Sunday, 27 October, from 1 to 3 pm! Baggage. We hide our treasures inside it when we travel. But sometimes fate makes us leave it behind. It becomes unclaimed baggage waiting for a new owner. 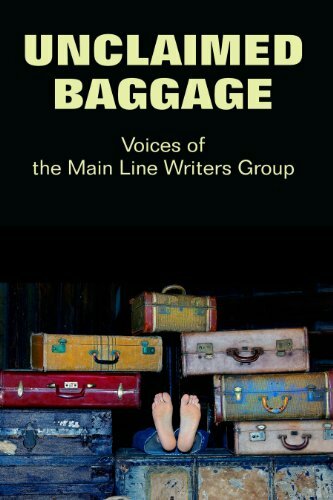 Inside this collection are 21 treasures from the authors of the Main Line Writers Group. Open Unclaimed Baggage and you will find stories of bravery and horror, loss and reconciliation, ghosts and demons, racial violence in Malvern and death in Amsterdam. Hope you can come and cheer me on. If you cannot and would like a book, let me know and I’ll get you a copy ($9.00-ish) or you can get a copy for your Kindle after the launch. Wish us luck! It is a crazy long and slow process of getting myself out of the cloistered existence I am so good at living. I have lots of excuses for staying hidden away, but psychotherapy has been my way out. So of course you’ll understand that even though it may sound terrible to you, I gladly went to a group therapy weekend last year. A whole weekend of working out issues, with the help of strangers. I spent my time that weekend trying to figure out why I wrote what I think is a very good book and have not tried very hard to get it published. We talked at length about what was holding me back from taking the next steps since I clearly care about this project and have worked hard to make it as good as I can. The large underlying problem is that secrets were the mainstay of my childhood so telling anything that might be secret to the world feels wrong. But an entire memoir seems pretty deliberate doesn’t it? I kept telling myself that sharing my ideas was somehow going to hurt people including myself and so I couldn’t possibly publish my book. Also there was the problem that the people who’d read it so far knew me and therefore their rave reviews were probably because they didn’t want to hurt my feelings, or liked it because they knew me personally. So people I was meeting for the first time that weekend agreed to read it to help dispel some of those fears. Planting seeds of hope for building or rebuilding relationships is exactly what I wanted to do and I thank this reader I barely know for spelling it out, and sharing it so I can see better why I am so engaged in this labor of love, and that I AM able to convey this important message. It is corny to say I felt the love at the Philadelphia Writer’s Conference? Here’s something I don’t understand so help me out and tell me. I know how I got out of being an unhappy person unable to connect and engage rationally with others, it was psychotherapy and lots of it. I have often thought that it is a form of love, sold for those who can pay and whose hearts are not clamped shut so tight they cannot be methodically and incrementally pried open by a professional. In general, in life, I’ve noticed other people who seem to know, claim that love is the power that matters. It is the most powerful force on earth. I don’t understand how the prolific writer Jonathan Maberry got out of his issues, and he mentions a few, to share love freely as he does today. Or how anyone changes for the better. A profound transformation has to occur. It’s not casual, you don’t just think, oh I’ll embrace the concept of love now. Something more provocative has to occur. It must have for him, and for the others at the Philadelphia Writer’s Conference last month, because love is indeed what I felt there. The leaders were tossing it out so I snagged some and carried it home. It is a powerful thing that finds its way to hurt and injured folks and changes them into people who extend themselves and who care and who try to make love grow. Maybe I am always just in the mood for love, but whatever it is I am struck by the power of the idea that benevolence, generosity, kindness, patience, understanding and the like can move mountains in me. Sometimes I find I’ve left myself messages. Breadcrumbs to follow to where I need to go. 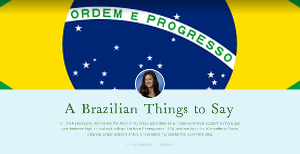 Apparently it is too scary to go directly from point A to point B so I must leave myself writings, blog posts, or essays, a whole book I’ve written, or stories of my life before, so that I can find them and read them and know the truth of what I must do. I must get myself out of the isolation I live in even though to you out there it must look as though I am terribly engaged. I am but I’m not. I must share the book that I’ve written. I put it on the shelf for some years and decided it a great exercise, but not anything anyone needed to know. That was a trick. It seems I needed time to catch up in my heart with what I wrote from my head. Leave myself some breadcrumbs to follow. Stories about how I used to be lost in the world so I can see that I am not anymore. My boy came back from a year away in South America, yesterday. Waiting for him at the airport was like waiting to give birth. I tried to be calm, not make a scene, that’s what he asked for, so okay, but let’s let it be whatever it is. So we waited and watched, grew anxious, and then thrilled at the sight of him, and grabbed him to us in a tight four-way hug all around, all of us together loving each other like I have never known before. I did it. I created a family that loves out loud, that cares and misses and loves together. I am sure of it because when I laid eyes on him tears burst to my eyes and I thanked god for the gift of this day. This day where my world is fantastic and joyful and great. I thanked god as the plane landed, that I have made it to this point in my life where I can see the changes in myself, perpetuated forward through my children. When I read some of my stories I am shocked at what I see. A girl so lost and alone and confused. I left myself these stories so I would have no way of convincing myself it happened any other way. Seeing my son come home to us after a year away, us all truly joyful on his return, is a message to myself, a breadcrumb to follow. I have come from far away and live among others now and can see that my kids love me and love me and love me. I am not lost anymore. I just came home from the Philadelphia Writer’s Conference and I feel pretty rattled. Don’t get me wrong, it was WONDERFUL The layers of love and connection and communion I felt were terrific. And Jonathan Maberry is my new model, my hero for the kind of teacher I want to be back here in my real life. He practices what he preaches about writing not being a competition, giving encouragement and time and answers to writers, freely. His positive attitude and genuine ways are inspiring, as were those of all the presenters I met. But, I am unsettled by the discovery of the powerful community of support outside my door that I have until now never visited. How could I? My home is alone, and I am a solitary writer most comfortable insulated from society for the sake of art and craft. Or maybe it is because I expect there to be no one home in whatever world I inhabit just because I grew up that way. That’s what isolation is like. You are alone and it’s normal and stepping out of it is a risk. Getting me to this conference wasn’t that easy on account of that. I told myself over the course of the last six months that in June I’d go. I signed up. I paid. But I dreaded. And then I dragged myself there and was overwhelmed by the largesse I found, the sincere joy of presenters in sharing their knowledge and in going out of their way to encourage and inform, a welcome surprise. Are we not all enemies vying for the same few precious opportunities out there? Thank you Philadelphia Writer’s Conference for informing me by showing and not just telling, that we are a community of people who want to lift each other up for the betterment of us all, and for the betterment of society at large, and that there is room for everyone. Alone I am no more. It is the obvious foil to my isolation, the actual face time with other humans, other writers. Jonathan gave me a mantra to take home when he said, ‘writers do best when around other writers’. Thank you, this is correct. I met an eighteen-year old young man sitting in an otherwise empty community room near the end of the programming. We both were sitting out the last session, overwhelmed with insights and ideas about what to tackle next, and so we struck up a conversation, that old-fashioned thing everyone there was doing. We talked about how his generation is more naturally wired than mine and how much easier it is for him to connect on social media, my painful shortcoming as an oldster. He expressed longing for his own default setting to be something other than wired, so drawn to the electrical media, and he described how very different it is to interact with live people in the conference setting because like me, he said he felt the strength of community pulsing through the halls. Together we agreed that engaging with flesh and blood people who can be sized up and reacted to at a gut level feels more solid, more satisfying and more inspiring than the abstract parallel experience in cyberland. We found ourselves alone, together, in the social room, our distant generations connected. I came from a life where I don’t expect others to want to share with me, the dark default setting of having been raised so alone, and maybe that’s why I am a writer, so I can stay there by myself. I fight such feelings every day so of course I am rattled by the multitude of connections I made this weekend at the Philadelphia Writer’s Conference. It’s what’s supposed to happen. I’ve been shaken up. Woken up. Inspired. Like a slap across the face when I’ve lost my senses. English class was hard last week. Somehow I’d lost my good humor about the “Bring Your Own Device to School” policy the district enacted this school year, allowing kids to bring in cell phones and computers and other devices to aid their learning. It is a fine idea and the devices were coming in anyway. It’s just that witnessing kids exercise the authority to sit with what amounts to a television set at their desks and watch skateboarding videos and youtube.com phenomena rather than prove a point with arguments made in each paragraph of a wildly less interesting writing assignment, is disheartening. Oh sure, some days I have what it takes to inspire kids to put away the toys and then trick them into accidentally creating thesis statements just by answering simple questions about their intentions, but some days I cannot believe the wayward state of our children, and I don’t want to try teaching anything. Some kids seem so jaded that the free education we offer is apparently not worth the effort to accept. And that is a slippery slope. For all of my readers out there, please high-five me now because I have taken the grand step of publishing a website for myself to help promote my upcoming memoir, You’ll Get Over It, Jane Ellen. Yes, some day I will figure out how to get my story published and then finally share my long held secrets. It’s a little fuzzy now just why it all started, but I did sit down very deliberately one day ten years ago to begin writing my story. Something about it felt quite right because in the end I couldn’t stop myself. It seems that in the long run putting in order all the stories of my life has been enlightening and empowering. I cannot hide from some of the themes rising out of my own words. This after taking myself to a writing workshop week after week for six years and offering up my stories for the group to hear read aloud. Folks asked pointed questions that forced me to look hard at precisely what ideas my words conveyed. I have been waiting for the day that I would feel proud of this project, and at last I do. Writing the stories of my life has given me the precise words to use to share my most profoundly affecting experiences in a way that is more powerful than any other I have ever had. So go look at my website and let me know what you think. I had a fantastic birthday this year and all because I granted myself permission to do whatever I wanted whenever I wanted. I stayed home to write. And my husband brought me lovely meals to sustain me while I wore myself out crafting sentences and following blind leads down internet paths I rarely tread. It is a guilty pleasure to spend hours getting lost in conveying ideas through words.